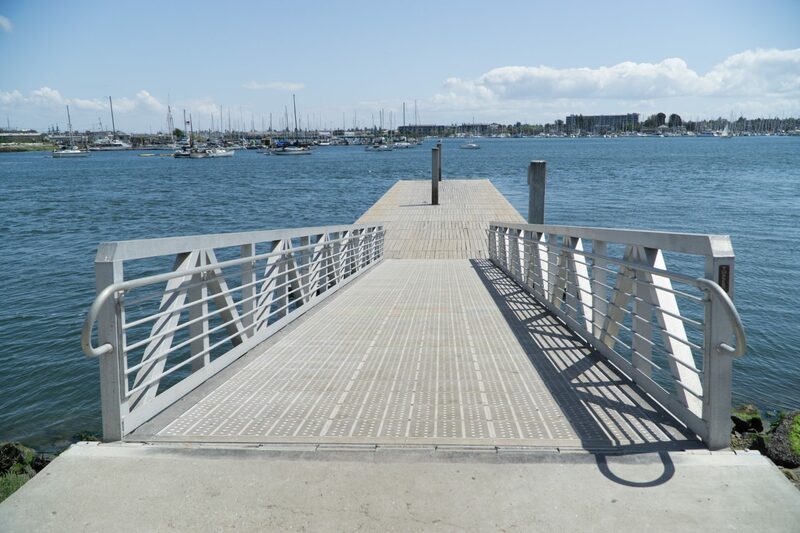 The wide gangway and low-freeboard dock makes this launch a popular facility for rowers, scullers, kayakers, and other types of non-motorized small boats. 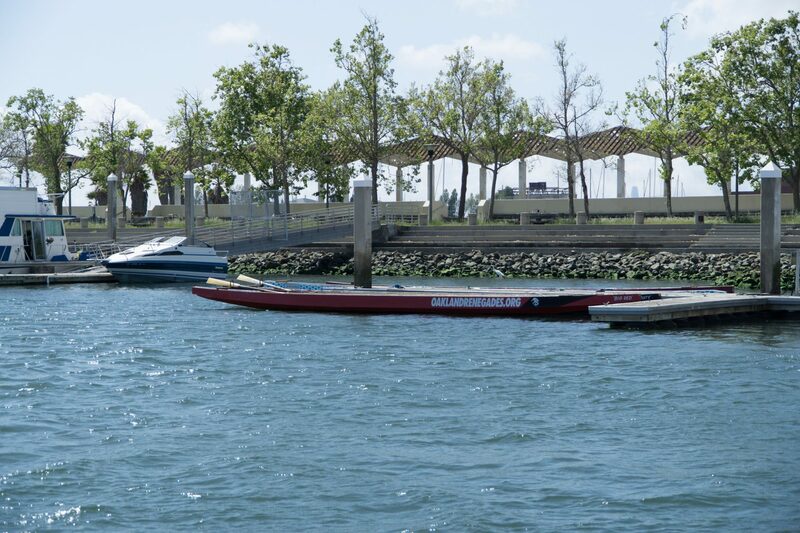 The relatively protected waters of the Oakland Estuary make it an ideal location for a variety of craft including larger team rowing and dragon boating.  There are also a variety of nearby destinations to visit including restaurants at Jack London and wildlife in San Leandro Bay. 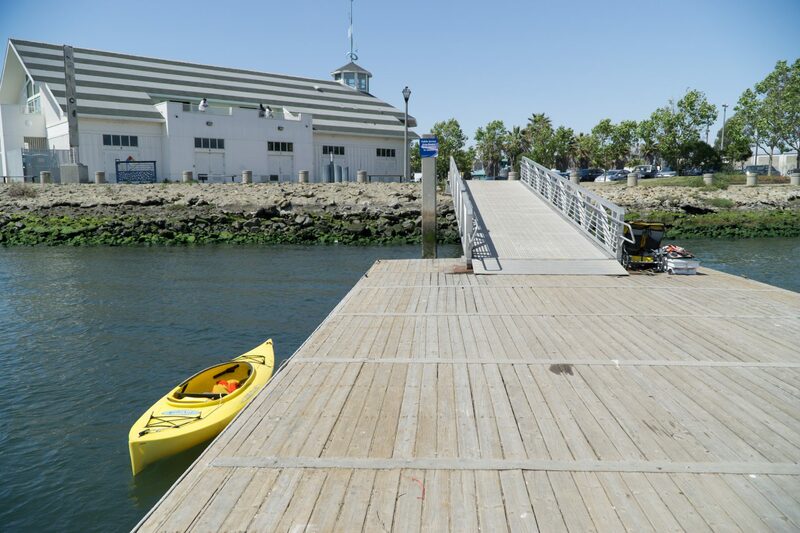 Estuary Park / Jack London Aquatic Center boating facilities include two primary launches: 1) A large low-freeboard dock connected to a wide ADA gangway; and, 2) A boat launch ramp with boarding pier to a high-freeboard dock. 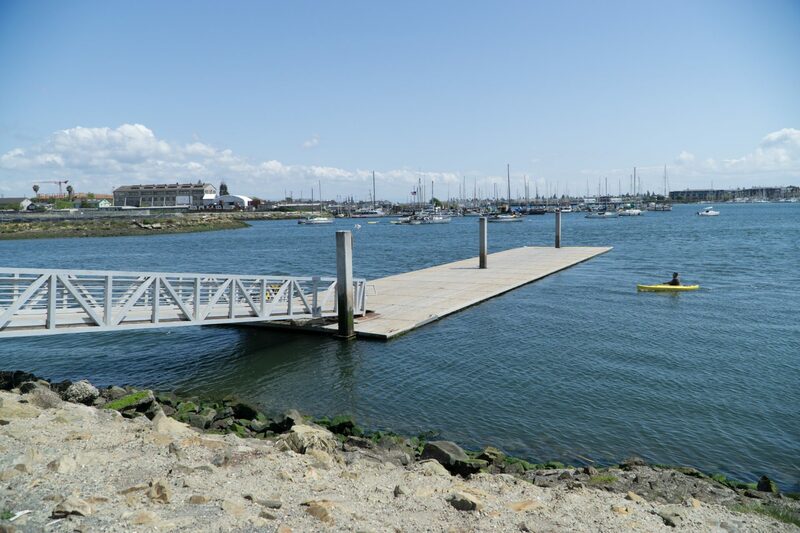 The low-freeboard dock is very popular with non-motorized small boat users and is used both by clubs and by the City of Oakland’s recreation programs. 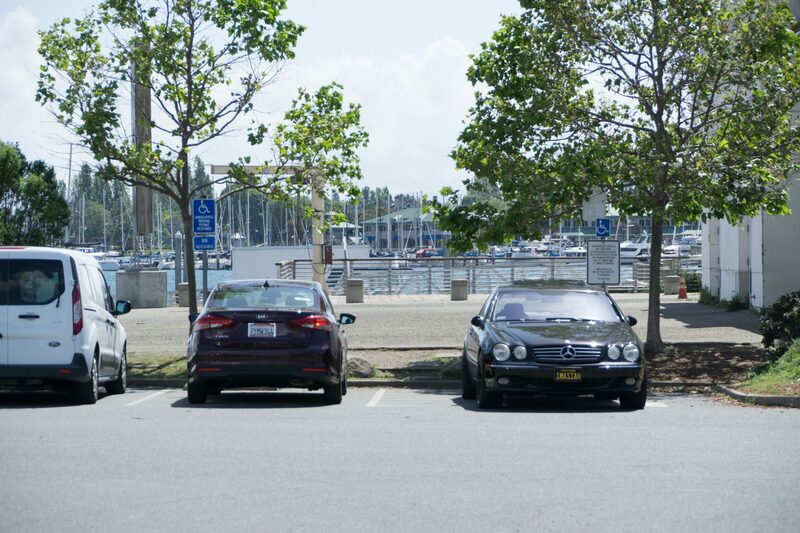 The parking lot is located off of the Oakland Embarcadero, approximately a half mile south of Jack London Square. 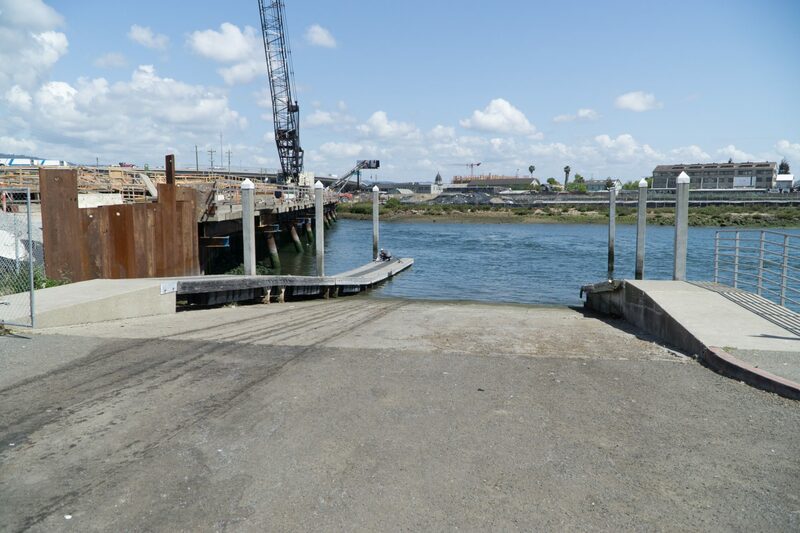 The Embarcadero Bridge is currently under construction so the site can only be accessed from the Oak Street side – there is no access from the 5th Avenue side currently. A large surface parking lot provides sufficient space on all but the busiest days. Parking is posted for 2 hours but time limits are not enforced. No overnight parking is allowed. 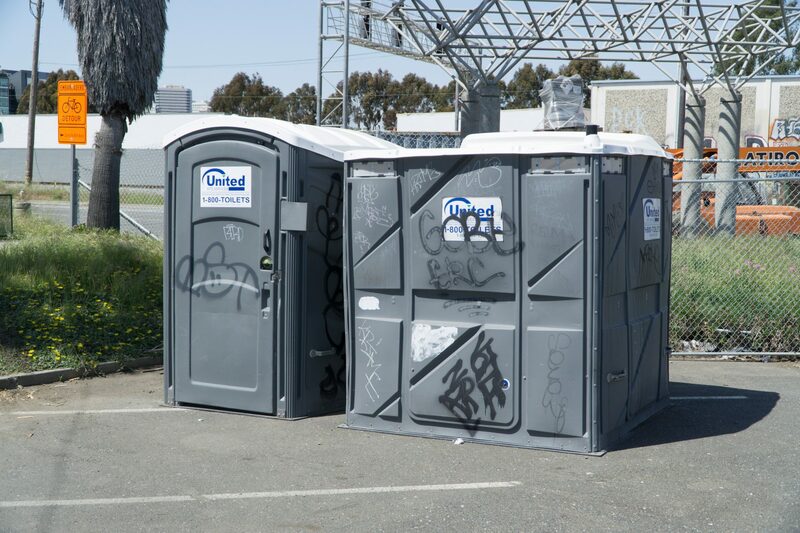 There are two portable restrooms near the boat ramp, one is an ADA portable. New restrooms are planned for construction by early 2019. 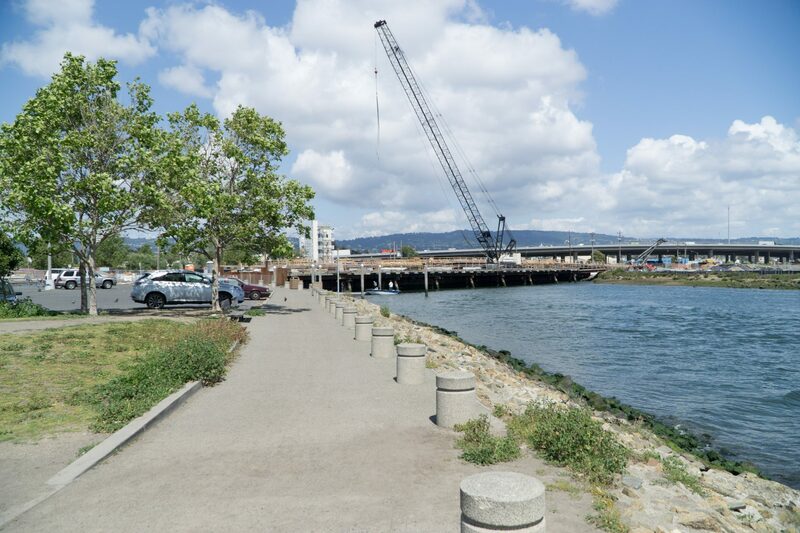 Estuary Park is a 7-acre park located along the Oakland shoreline at the mouth of the channel connecting to Lake Merritt. It features the Aquatic Center, picnic areas, benches, and walking paths. 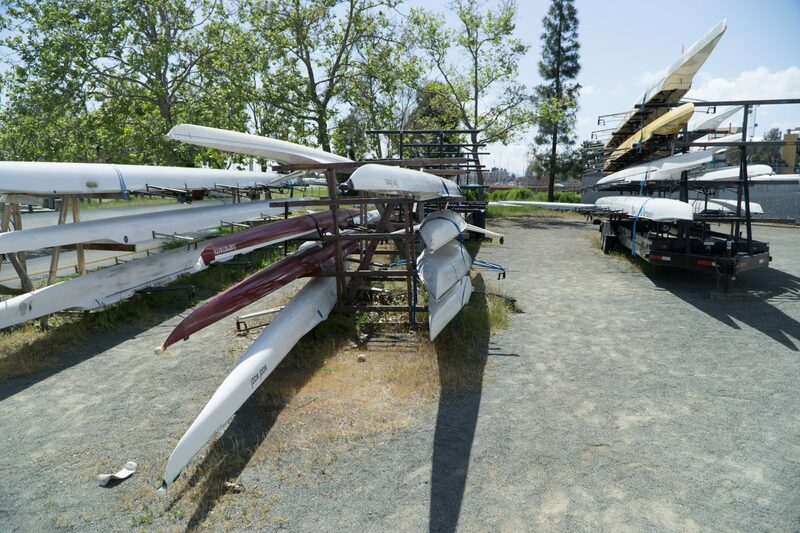 The Aquatic Center provides boat and equipment storage for several rowing clubs and the City’s boating programs. 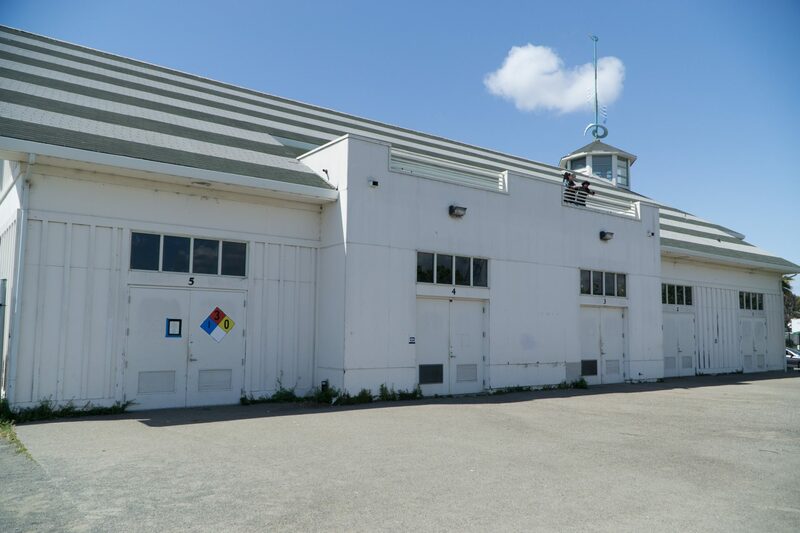 The Aquatic Center building also serves as a community center, which is available to rent for special events. 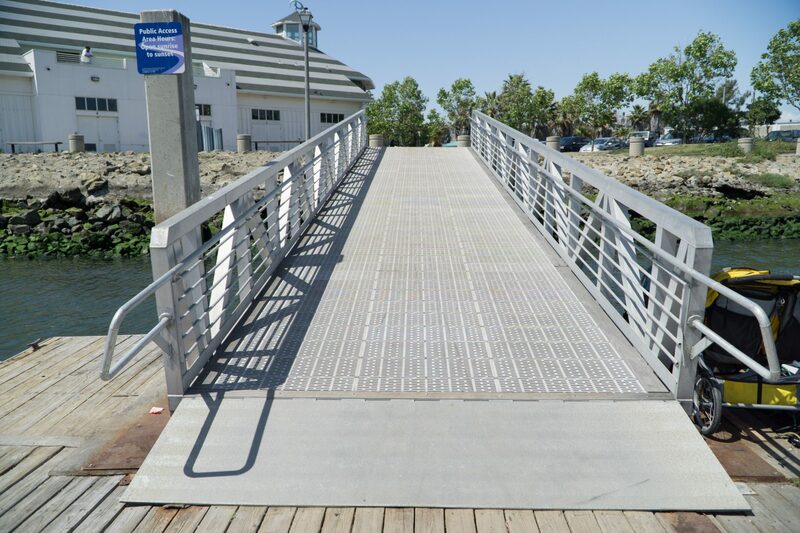 The low-freeboard dock, gangway, and path of travel are designed to be ADA accessible. Path of travel is paved, but uneven in places. The site has two ADA parking spaces at the trailhead that leads to the launch. An accessible portable restroom is provided in the parking area. 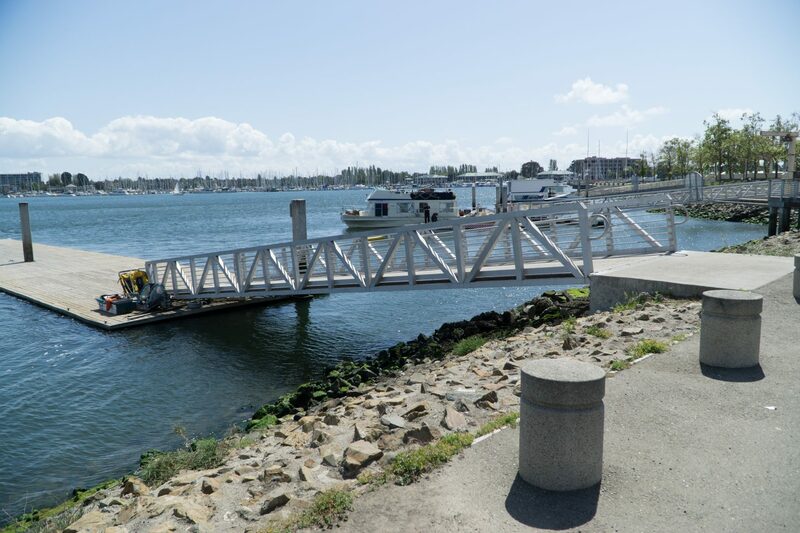 The gangway is designed to meet ADA slopes at all tides. The low-freeboard dock is comprised of wood, which can cause splinters so caution needs to be used when entering and exiting crafts. Shipping channels exist along the Oakland Estuary from the northern entrance until just past Coast Guard Island. There is a lot of boat activity and users need to be aware of their surroundings and familiar with how to boat near other vessels. The Oakland Estuary is in an urbanized area with a lot of boat activity due to the shipping channels and numerous marinas. The closest sensitive wildlife habitat is at Damon Marsh and Arrowhead Marsh (see map). Help protect important wildlife area by keeping a respectful distance and watching for signs of disturbance, such as behavior changes or flushing. 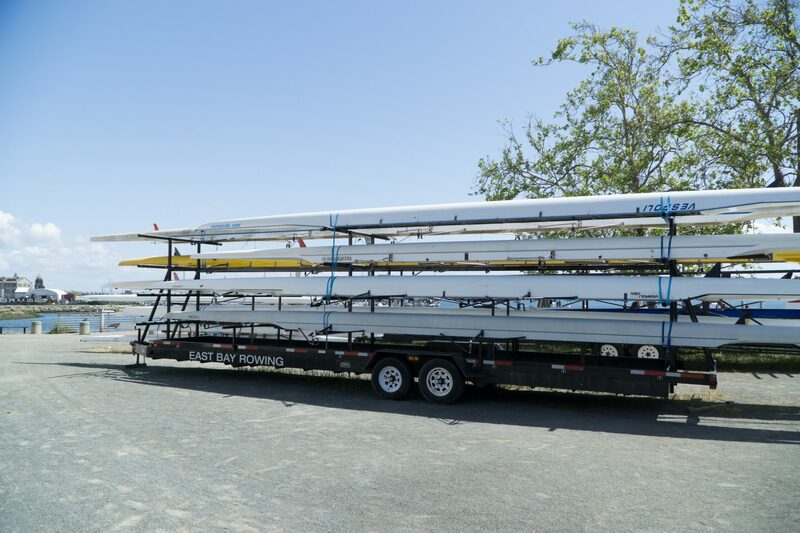 The site is heavily used by rowing clubs and dragon boat clubs, including East Bay Rowing Club, Artemis Rowing, Berkeley High Crew, UC Berkeley Lightweight Crew, KP Dragons, California Dragon Boat Association, and Renegades Dragon Boat Club. 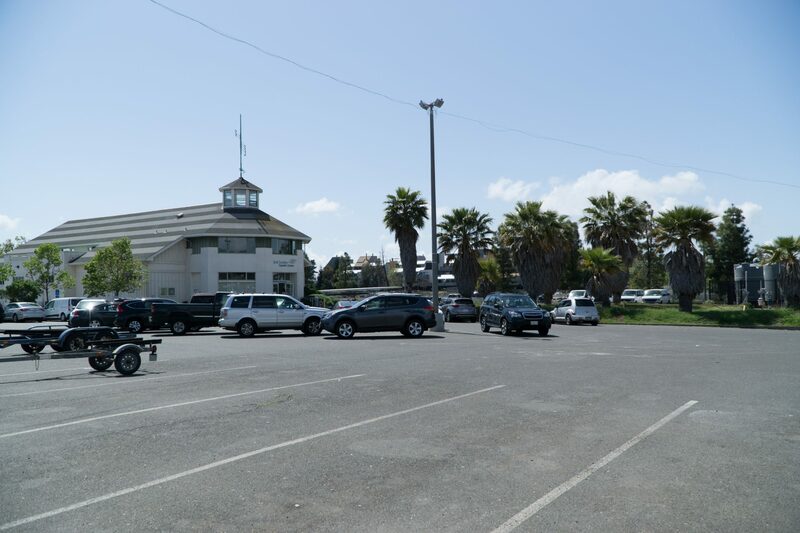 Oakland Parks, Recreation & Youth Development Department offers boating courses including youth and adult sailing, kayaking and water safety classes.